‘Green Book’: Will Word of Mouth Save the Wobbly Oscar Contender? It's getting crowded at the pre-holiday box office, and there will be blood on the tracks before the season is through. Two high-level openings with Oscar hopes, Peter Farrelly’s “Green Book” (Universal) and Julian Schnabel’s “At Eternity’s Gate” (CBS), dominate the new releases entering the crowded and volatile specialized award season marketplace. “Green Book” is struggling to pull audiences with a multi-city opening at top theaters. The true 60s story starring Viggo Mortensen and Mahershala Ali will need a dramatic word-of-mouth boost it before its planned quick expansion. Schnabel’s Vincent Van Gogh biopic launched well with its iconic subject promising strong positive specialized response ahead. 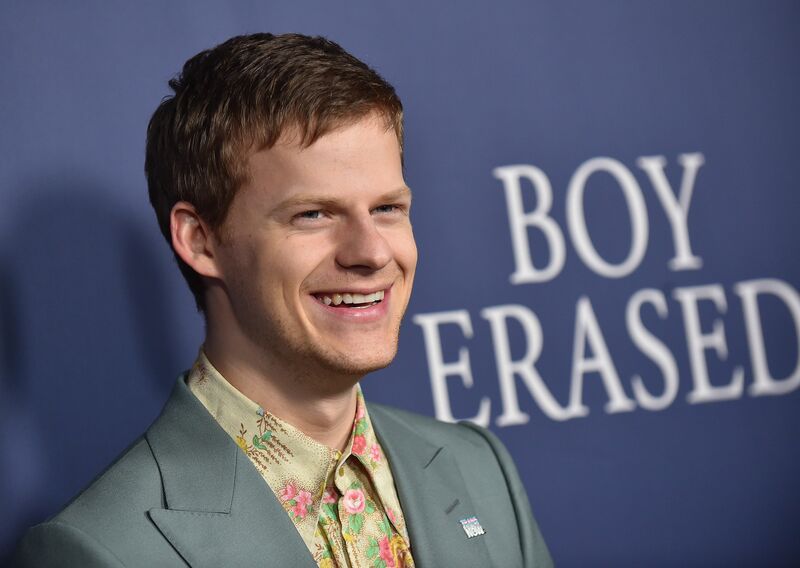 “Boy Erased” (Focus) led the new expansions –among the best of wider releases this fall. The market has suddenly become very competitive, with a number of films struggling and risking not getting full holiday bookings as the lucrative Thanksgiving weekend approaches. But all contenders, especially the most serious, need to get through the crucible of their opening weekend and how the public responds (a tricky process that Netflix is struggling with as the soon-to-be stream “Roma” opens on Wednesday). And based on the initial results, “Green Book” is falling short so far. In a move familiar to canny Oscar campaigners Fox Searchlight and Weinstein, Universal opened “Green Book” at 25 theaters in 17 markets. The resulting per theater average from is $12,520; the four core New York/Los Angeles theaters will average a more robust $25,000. Universal’s attempt to broaden the initial dates was designed to spark strong word of mouth ahead of the planned 1,000 theater expansion this Wednesday. So they booked the movie in 15 other general audience theaters, including some with significant African-American patronage. Opening a movie with more than just the usual two cities is not uncommon. Fox Searchlight, Weinstein and others have shown success with this approach, particularly when trying to reach out to African-American audiences. The $12,520 PTA for the 25 theaters shows itself to be weak in this context. It is behind Fox’s current success “The Hate U Give,” which managed $2,000 more in nine additional theaters (which makes its result more impressive, as PTAs go down usually with additional screens). It is lower than two Fox Searchlight films that were box-office disappointments, “Battle of the Sexes” anf “Hitchcock.” “12 Years a Slave” in 19 theaters managed around $50,000 on its way to a Best Picture win and around $60 million total. In the theaters outside of the top two cities in some of the most commercial theaters, “Green Book” did not perform well. But it was the top gross at the Landmark in Los Angeles, and second or third best on four more screens. But then it was only fourth best at five, fifth at seven, sixth at two, seventh at four, and a lowly eighth and ninth at two more. These are not encouraging results for a film with such high prospects. Universal in its summary of the figures describes them as “great,” but was unavailable when asked for further comment. They do report that these initial theaters gave the film an early A+ Cinemascore. And in that response is their best hope, as well as a sign of the logic to this plan. They clearly hope that word of mouth will overcome what is clearly initial resistance to the film’s marketing materials compared to what its pre-release bonafides have been. Its Saturday grosses were up 40 percent from Friday, a respectable but not spectacular increase for this kind of adult appeal film (“12 Years a Slave” with much higher numbers was up about the same). Universal has to be scrutinizing its intended expansion to 1,000 theaters this Wednesday. The film could use a slower release build in order to maximize word of mouth. What comes next: Near-term early awards boosts could help, but this next week is going to be critical for how this fares. So far, it looks like a challenge. What comes next: 12 additional cities start the film’s expansion this Wednesday. The last film from Claude Lanzmann, director of the monumental “Shoah,” is four and a half hours of additional interviews from the period when he made the original films. The initial reviews are in the same range. The initial targeted engagement opened in New York to only minor initial response. What comes next: Los Angeles opens Wednesday. Expect this to have a presence for an extended time through various media, relying on Lanzmann’s enormous reputation and the impact of his masterpiece. Jason Reitman’s telling of the downfall of Gary Hart, which was looking for a possible Oscar nomination for Hugh Jackman, continued its weak run after its mediocre limited start last week. Though Sony will continue with its expansion, this shows no signs of finding any sort of significant response ahead. After its initial odd four-day runs at three theaters, the Coen Brothers’ latest film, which debuted on Netflix on Friday, added at least five more theaters while returning to the original three. Where seating information is available, it played mainly on small screens, with some sellouts indicated. The point for Netflix isn’t the gross — getting film critic reviews the same as other movies is key for them, as well as establishing the point that for certain releases there will be theaters. The (unreported) results when “Roma” opens this Wednesday in limited initial dates will be closely scrutinized. Modest second weekend expansion for this recreation of a celebrity Argentine outlaw. The widening of Joel Edgerton’s well received drama about gay conversion therapy had a response well ahead of similar early breaks this fall. With strong support from Focus, this so far has built strong audience support. That’s not automatic for a controversial social issue film: the strong cast led by Lucas Hedges, Russell Crowe, and Nicole Kidman clearly boosted the cause. Unlike several other struggling films, this looks to be nicely positioned to expand further and benefit from both immediate and later holiday playtime. Melissa McCarthy’s foray into specialized continues to show steady interest at what looks like its widest point. but the dramedy is falling short of Searchlight’s “The Old Man and His Gun” at roughly the same point of its decent run. For the older core specialized moviegoers, a big star like McCarthy seems to have less pull than Robert Redford despite her strong acclaim for this role. Still adding to its impressive total deep into its run, George Tillman Jr.’s timely drama about a high school girl’s actions after a police killing is still finding interest. This will end up in the low $30 million range and leads the totals for all initially limited releases this year. Aviron succeeded in getting a strong group of theaters in a crowded period for their Rosamund Pike vehicle about an acclaimed war correspondent. That’s where their success ends, with a per theater average under $1,000 putting it in precarious shape going into the holiday weekend. This should be the last wide week for the Steve Carell/Timothee Chalamet drug addiction story, with Amazon having drawn significant attention and a strong gross to aid its awards hopes. National Geographic’s acclaimed documentary is still strong as it continues its climb to at least $10 million, with some level beyond that increasingly likely. The last stages of Robert Redford’s bank robber portrayal continue to maximize what has been a well-played release by Fox Searchlight. Jonah Hill’s debut feature set in the world of 1990s teen skateboarders is wrapping up its run at a level that suggests he has reason to pursue a parallel career in directing. Response remains steady (and positive) in the still limited dates for this documentary about the legendary diva with new material from her private archives. The initial strong interest and then quick national release has left Luca Guadagnino’s take on the Argento classic mostly played out by its fourth week. This South Korean film, which continues to get reviews close to the best of any 2018 film, is doing better than average business for a specialized foreign-language feature. This Jake Gyllenhaal/Carey Mulligan family drama continues to struggle to find an audience, pulling under $1,000 per theater this weekend. Sweden’s entry for Foreign Language Film expanded with minor impact similar to most recent subtitled releases. In its final stages, Keira Knightley’s portrayal of the French novelist has passed $5 million: it’s one of the strongest early fall releases.